St. Eugene Mission Golf Resort Casino is nestled between the Purcell and Rocky Mountains near Kimberley and Cranbrook, British Columbia, and is a magnificent resort that offers gourmet dining, world-class golf, elegant hotel rooms, and casino nightlife, all at one breath taking location! 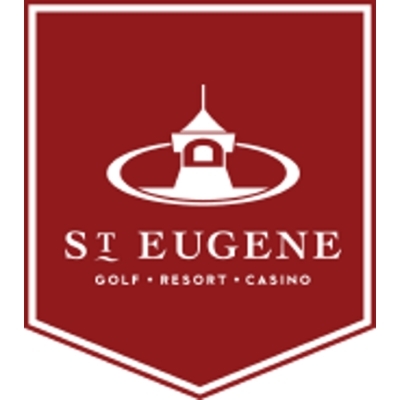 St. Eugene Mission Golf Resort Casino is a place of fun, relaxation, exceptional service, and outstanding value – the perfect place to visit for any occasion! 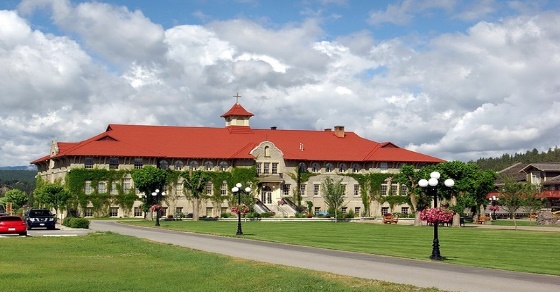 The resort features a full-service 4.5 star hotel, the Casino of the Rockies, and a Les Furber-designed golf course, rated by Golf Digest as one of the top 3 new courses in Canada in 2001. Located just 5 minutes from the Canadian Rockies International Airport (Cranbrook), St Eugene offers the best dining in the vicinity, ranging from clubhouse BBQ’s to the casual elegance of our Purcell Grill. Pub and delicatessen-style menus are also available in the Fisher Peak Lounge and Fred’s Saloon. The health club contains a fully-equipped gym, steam room, sauna, outdoor heated pool, and hot tubs. St. Eugene Mission Golf Resort Casino offers 125 beautifully appointed guest rooms and suites, 25 of which are in the original Mission building. The guest rooms present spectacular views of the St. Mary River, the Hoo Doo’s, our championship golf course, and the Purcell Mountains or Rocky Mountains, including the dramatic Fisher Peak. All guest rooms offer complimentary coffee and tea, complimentary high speed internet access, in-room safes, bar fridges, in-room movies, as well as an ironing board and hair dryer. Complimentary shuttle service to and from the airport and access to the Health Club are also included. Deluxe guest rooms and suites feature all of the above along with upgraded amenities and cozy cotton robes.There are no connection fees on local and toll free calls!